A: AAKER, August Ferdinandt; ABBEN, Ben C.; ABBEN, Tena; ABNER, Ned; ADAMS, Albert (Bert); ADAMS, Alpheus; ADAMS, Alpheus; ADAMS, Barbara J.; ADAMS, Betty Jane; ADAMS, Caroline Mary; ADAMS, Cecil Parker; ADAMS, Clair; ADAMS, Emma D.; ADAMS, Gale E.; ADAMS, Grace M.; ADAMS, Herbert A.; ADAMS, John; ADAMS, John; ADAMS, Kate; ADAMS, Lena Verbena; ADAMS, Lorraine; ADAMS, Merle W. (Cub); ADAMS, Oscar L.; ADAMS, Samuel; ADAMS, Sarah Jane; ADAMS, Sarah Jane; ADAMS, Selma M. L.; ADAMS, William W.; ADOLPH, Amy I.; ALBERS, Benjamin A.; ALBERS, Jesse H.; ALBERS, Laura Lucille; ALBERS, Lucy; ALBERS, Margaret; ALBERS, Melva K.; ALBERS, Minnie; ALBERS, W. F.; ALDRICH, Byron A.; ALDRICH, David; ALDRICH, Leota V.; ALGER, Glen I.; ALGER, Mildred; ALGER, Robert; ALGER, Robert L., Jr.; ALLEBAUGH, Gertrude N.; ALLEBAUGH, Samuel; ALLEBAUGH, Willard L.; ALLEN, Carl G.; ALLEN, Cornelius E.; ALLEN, I. Mabel; ALLEN, Jane E.; ALLER, John; ALLER, Josephine; ALSPACH, Anthony "Tony"; AMES O'BRIEN, Emily B.; ANDERSEN, Anna; ANDERSEN, Else Marie; ANDERSEN, Esther O.; ANDERSEN, John J.; ANDERSEN, Lars J.; ANDERSEN, Shirley Leone; ANDERSON, Alfred; ANDERSON, Alfred; ANDERSON, Andrew Christian; ANDERSON, Andrew Christian; ANDERSON, Arthur E.; ANDERSON, Clarence E.; ANDERSON, David L.; ANDERSON, Delia F.; ANDERSON, Edward; ANDERSON, Emma C.; ANDERSON, Frank B.; ANDERSON, Gusta; ANDERSON, Jennie E.; ANDERSON, John; ANDERSON, L. Doris; ANDERSON, Larry M.; ANDERSON, LeRoy J.; ANDERSON, Lester E.; ANDERSON, Lila M.; ANDERSON, Louis W; ANDERSON, Loyd B.; ANDERSON, Mark W.; ANDERSON, Mary; ANDERSON, Metz Jr.; ANDERSON, Metz Sr.; ANDERSON, Minnie M.; ANDERSON, Raymond V.; ANDERSON, Robert; ANDERSON, Rose; ANDERSON, Sigred; ANDERSON, Velma L.; ANDERSON, William; ANDERSON, William R.; ANDERSON, Zola; ANDERSON CURRY, Lillian; ANDERSON MENGELSEN, LaVonia Ann; ANDREW, Charles M.; ANDREW, Harriet; ANDREW, Harriet Lorinda; ANDREW, Jane; ANDREW, John; ANDREW, John; ANDREW, Mary B.; ANDREW, Olive J.; ANNETT, Mary A.; ANNETTS, John B.; ARCHER, Alivia Ann; ARENDS, Jason C.; ARGENT CUTTELL, Maggie L; ARMS, Elizabeth Rosella; ARMS, Lora Philena; ARMS, Memorial Stone; ARMS, Nora Mabel; ARMS, Ralph Lawrence; ARMS, Roy Elvin; ARMS, William Henry; ARMS COOVER, Florence Mary; ARMSTRONG, Jestin M.; ARNDT, August F.; ARNDT, Geneva I.; ARNDT, Gertrude M.; ARNETT, Elizabeth; ARNETT, James; ARNETT, John V.; ARNETT, Thomas A.; ARNETT, William; ARONSON, Hilma; ARTS, Paula Ann; ASH, Karen K.; ASHBURN, Abbie; ASHBURN, Frank H.; ASHBURN, James; ASHBURN, Mary Jane; ASHBURN, Ronald; ASHER, Blaine (Bob), Jr.; ASHER, Blaine III; AUGHTER, Anna M.; AUSTIN, Caleb I.; AUSTIN, Nancy; AXTELL, Edgar F.; AXTELL, Winona E.; AYERS, William A.; AYRES, Carol J.; AYRES, Guy R.; AYRES, Leona Mae; AYRES, Mildred V.; AYRES, Ralph M.; AYRES, Velma M.
C: CALESON, Martha J.; CALESON, Oscar M.; CALESON, Oscar M.; CAMPBELL, Agnes; CAMPBELL, Ezra John; CAMPBELL, William H., Jr.; CANON, Mary; CARLETON, Eliza P.; CARLEY, Locke; CARLSEN, Carl LeRoy; CARLSEN, Frances; CARLSEN, Gertrude; CARLSEN, Louise L.; CARLSEN, Oscar O.; CARLSEN, S. Edward; CARLSON, Ada; CARLSON, Carl Albin; CARLSON, Esther E.; CARLSON, Julia Teresia; CARLSON, William; CARR, Allen M.; CARR, Ella D.; CARR, Eva E.; CARR, Ivan R.; CARR, John P.; CARR, Sarah E.; CARROLL, Patricia A.; CARROLL, Raymond W.; CARTER, Joe; CARVER, Albert P.; CARVER, B. W. (Bernie); CARVER, Frank W.; CARVER, Mabel B.; CARVER, Reasie C.; CARVER, Rosa Wilalmina; CARVER, Ruth A.; CARVER, Tomm R.; CARVER, Wilbur L.; CASE, Clara M.; CASE, Scott; CASE NEWBROUGH, Mary A.; CATE, Hazel Alta; CATE, Henry Powell; CATE, Leota Margaret; CAUVEL, Adalaide; CAUVEL, Calvin; CAUVEL, Elizabeth; CAUVEL, U. Grant; CHAMBERS, William "Bill" James; CHANEY, Bula; CHANEY, Coyla; CHANEY, Kirk; CHANEY, Osborn Miller; CHANEY, Osborn Miller; CHAPMAN, Arnold Defoe; CHAPMAN, Arthur; CHAPMAN, Barbara; CHAPMAN, Chris C.; CHAPMAN, Doloris L.; CHAPMAN, Donita Jean; CHAPMAN, Dorothy I.; CHAPMAN, Earl D. (Squeeg); CHAPMAN, John W.; CHAPMAN, Louis (DIB); CHAPMAN, Vernie; CHASE, John Francis; CHASE, Larry R.; CHASE, Milton Eugene; CHASE, Minnie Maria; CHASE BROWNELL, Mary; CHRISTENSEN, Clara Marie; CHRISTENSEN, Fred; CHRISTENSEN, Julius; CHRISTENSEN, Sara G.; CHRISTENSEN HALE, Marjorie Marie; CHRISTENSON, Henry; CHRISTENSON, J.; CHRISTENSON, Julia F.; CLAPPER, Mary Catherine; CLAPPER, Silas Cummins; CLARK, Maude; CLAXTON, Alphonso R.; CLAXTON, Julia R.; CLAXTON, Mary E.; CLAYPOOL, William W.; CLAYTON, Earl Joseph; CLIFFORD, Bernice M.; CLIFFORD, Elmer H.; CLIFFORD, Louise; CLIFFORD, William R.; COLEMAN, Bertie L.; COLEMAN, Florence L.; COLEMAN, William C.; COLVIN, O.M. ; CONDRA, Albert B.; CONDRA, Helen N.; COOVER, Florence Mary; COOVER, Morrell David; CORLEY, John T.; CORLEY, Rose E.; CORNWALL, Barbara. ; CORNWALL, Dean Torrey; CORNWALL, Inez Lally; CORNWALL, Marion; CORNWALL, Peter S.; CORNWALL, R. Morgan; CORNWALL, Ruth; CORNWALL, Tom Wendell; CORNWALL, W. Mabry (Mabe); CORNWALL, Wendall W.; CORNWALL, Wilson W.; COTTRELL, Carrie; COTTRELL, Joseph; COUGHENOUR, Newton M., Rev. ; COUGHENOUR, Virginia D.; COURTRIGHT, Lora A.; COVERDALE, Katherine M.; COVERDALE, Riegel J.; COVERT KIMBALL, Esther; COWAN, Maude C.; COWAN, Resor H.; COWSER, Charles C.; COWSER, Maude A.; CRABTREE ROOT, Sophronia Jane; CRADDOCK, Archie R.; CRANDALL, Minnie; CRESS, Peter; CRICK, John Stephen; CRICK, Katie; CROW, Adrian B.; CROW, Charles H.; CROW, Elizabeth A.; CROW, Emma L.; CROW, Vera M.; CROW, William J.; CROW LARSEN, Marianne; CULVER LEACH, Mary Malinda; CUMMINGS, James A.; CUMMINGS, Jule G.; CURRY, Lillian; CURTIS, Alma M.; CURTIS, Charles E.; CURTIS, Joseph Edward, Jr.; CUTSHALL, Alvin B.; CUTSHALL, Lorrin S.; CUTSHALL, Maude; CUTSHALL, Ralph; CUTTELL, Charles A.; CUTTELL, David F. O.; CUTTELL, E. June; CUTTELL, Esther M.; CUTTELL, F. Patricia; CUTTELL, James C.; CUTTELL, Jennie V; CUTTELL, Maggie L; CUTTELL, Orpha N; CUTTELL, Robert M.
G: GALBRAITH, James W.; GALBRAITH, Sarah; GALBRAITH, William; GARFIELD, Emery; GARFIELD, Letita; GARRETT ARMS, Nora Mabel; GEETING, Charles A.; GEETING, Eleanor C; GEETING, Julia A.; GIBSON, Martha; GIBSON, William M.; GILLESPIE, Daniel C.; GILLMORE WADE, Lydia Ann; GLASER, Fred J.; GLASER, Margaret A.; GLEASON, George A.; GLEASON, Mary L.; GLOYD, Alfred Edson; GLOYD, Alfred Edson; GLOYD, Alfred Edson; GLOYD, Gordon P.; GLOYD, Ruby L.; GOBLE, Vida Mae; GODFREY, Clair O.; GODFREY, Phoebe C.; GOODALE, Deane A.; GOODALE, Verna M.; GOYETTE, Anthone; GOYETTE, Artie S; GOYETTE, E L "Moe"; GOYETTE, Ione; GOYETTE, Josie; GOYETTE, LeRoy; GOYETTE, Marie; GOYETTE, Ollie; GOYETTE, Rexford J.; GOYETTE, Richard; GOYETTE, Verne Elmer; GRAMBOW BERGEMAN, Wilhemina; GRAN, John A., Rev. Dr.; GREEN, Claude A.; GREEN, Daniel M.; GREEN, Daniel M.; GREEN, Fred G.; GREEN, Helena M.; GREEN, J. E., Dr.; GREEN, Joseph Elmore; GREEN, L.W. (Bill); GREEN, Laura A.; GREEN, Lola Mary; GREEN, Matilda; GREEN, Modesta M.; GREEN, Ray; GREEN, Rose Marie; GREEN, Veronica Anne; GREENE, Albert W.; GREENE, Alberta W.; GREENE, Anna; GREENE, Clara B.; GREENE, Edward M.; GREENE, Elizabeth S.; GREENE, Fred W.; GREENE, Kenneth Neal; GREENE, Lester G.; GREENE, Susie C.; GREGORY, Elizabeth; GREWELL BROTHERS, Willma Gertrude; GRIFFEN, A.; GRIFFEN, Eleanor M.; GRIFFIN, Louisa B.; GRIFFIN, Marion E.; GRIGGS, Cassius J.; GRIGGS, Grace I.; GRIGGS, Guy T.; GRIGGS, Hannah Janes; GRIGGS, Sarah E.; GRIGGS, Thos. D.; GRIGGS, Velma M.; GRIGGS, William H.; GRITTEN, George E.; GRITTEN, Maggie B.; GROSS ZIEMAN, Mae Louise; GROTH, Ada M.; GROTH, Arthur B.; GROTH, August W.; GROTH, Gottlieb; GROTH, Mamie; GROTH, Sammie; GROVES, Allen C.; GROVES, Berdena; GROVES, Clarabelle; GROVES, Dewey L. J.; GROVES, Elizabeth; GRUCHOW, Edward H.; GRUCHOW, Henry W.; GRUPE, Edmund L.; GRUPE, Lois A.; GUERTTMAN, Elizabeth; GUERTTMAN, Walter H.; GUINN, Lavertis Leonard; GUINN, Mavis G.
L: LABRANT, Levi Edwin; LACEY, Martha A.; LACEY, Patrick; LACEY, Thomas P.; LACHNER, Charles F.; LACHNER, Maida R.; LACHNER DASKAM, Laura; LADY, Grace I.; LADY, Harold C.; LAMB, Bertha H.; LAMB, Frank S.; LAMB, J. Clarence; LAMB, Selina B.; LAMB HORN, Grace; LAMB STRIZICH, Geraldine; LAMB USLAN, Frances; LAMBERTON, Celia; LAMBERTUS HANSE, Marie; LAMBERTUS HANSE, Marie; LARSEN, Marianne; LARSEN, Mathilda L.; LARSEN, Peter N.; LARSON, Ella J.; LARSON, Lewis M.; LARSON, Louis; LARUE, Gertrude; LARUE, Verne S.; LAURITSEN ZAHRT, Ann Marie; LAVIN, Fern Louise; LEACH, Charles Henry; LEACH, Mary Malinda; LEGG HURD, Wilma Nan; LEIGHTER, Evelyn; LEIGHTER, Marion Paul; LEWIS, Wesley Fenn; LIVINGSTON, Betsy J.; LLOYD, Jane; LLOYD, Wright; LOCKEY, Barney; LOCKEY, Charlotte Faye; LOCKEY, Jesse R.; LOCKEY, Susan F.; LOCKEY BOARDMAN, Rubie; LOGAN, David J.; LONG, John Patrick; LONG, Julius Everett; LONG, Julius P.; LONG, Mary G.; LONG, Nancy Kay; LONG REHAN, Sharon Virginia; LOWERRE, Benjamin F.; LUCHTEL, F Herman; LUNDT, Roger M.
M: MABRY CORNWALL, Ruth; MACK, Lucy; MACK, Squire; MADDEN, Philander; MAGNUSON, Anna Louise; MAGNUSON, Anton Edward; MAGNUSON, Family Monument; MAGNUSON, Theodore; MARCELLUS, Garret D.; MARCKS, August J.; MARCKS, Fredericka; MARCKS, William; MARKER, Charles F.; MARKER, Peter F.; MARR, Elsie A.; MARR, Katie J.; MARR, Leigh F.; MARR, Lucian; MARR, Lucian; MARR, Lucian M.; MARSHALL, Martin L; MARTIN, George F.; MASSCEY, Elman R.; MASSCEY, Elman R.; MASTERMAN, Hale C.; MASTERMAN, John; MASTERMAN, Lottie; MASTERMAN, Neva; MASTERMAN, Willard; MATTHEWS, Frances M.; MAUSS, Ethel Viola; MAUSS, John J.; MAYER SCHMID, Johanna Pauline; MAYHEW, Mary E.; MCCONNELL, Asa French; MCCORD, Carrie; MCCORD, Mrs. I. M.; MCCORD, W.S. 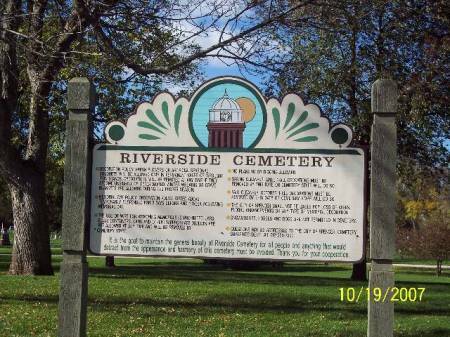 ; MCCOWN, William L.; MCCOY, John C.; MCCURDY, Archie S.; MCCURDY, Duane Archibald; MCCURDY, Family Monument; MCCURDY, Iva Idella; MCCURDY, Ivan A.; MCCURDY, Ruth Margaret; MCGUIRE, Patrick J.; MCGUIRE, Rose I.; MCHUGH, Delbert E.; MCHUGH, Delores J.; MCHUGH, Doris; MCHUGH, George E.; MCHUGH, Georgia C.; MCHUGH, Gerald P.; MCHUGH, Lillian E.; MCHUGH, Porter A.; MCHUGH, Vere; MCINTYRE, Catharine; MCINTYRE, Daniel; MCMICHAEL, Donna G.; MCMICHAEL, Jim; MCQUEEN, Thomas; MELIUS, Philip L.; MENGELSEN, Colleen; MENGELSEN, LaVonia Ann; MENGELSEN, Oscar H.; MEREDITH, Albertus Lola; MEREDITH, Robert L.; MERRITT ANDREW, Harriet Lorinda; MESSENGER, Jasper; MEYERDIRK, Cecil I.; MEYERDIRK, Ernest E.; MICHELSON, Clara; MICHELSON, Elmer; MILLER, A. W.; MILLER, Audrey R.; MILLER, Charles C.; MILLER, Darrell R.; MILLER, Edgar W.; MILLER, Emma S; MILLER, Family Monument; MILLER, Florence A.; MILLER, Hattie; MILLER, Marques A.; MILLER, Mattie; MILLES, Dean F.; MILLS, Agnes Ann; MILLS, Charles B.; MILLS, Elizabeth J.; MILLS, Gerald R.; MILLS, John P.; MILLS, Lewis E.; MILLS, Luella M.; MILLS, Myrtle; MILLS, Raymond V.; MILLS, Roger E.; MILLS, Samuel A.; MILLS, Timothy Roger; MINCER, Alice B.; MINCER, Edward E.; MINCER, Grover C.; MINCER, Harry B.; MINCER, William H.; MINER, Etta; MINGUS, Elfie May; MITTS, David Henry; MITTS, James M.; MITTS, Mary Josephine; MITTS, Ola E.; MOORE, Gloria; MOORE RUTTER, Gertrude; MORGAN, James H.; MORGAN, Sarah R.; MORRIS, Helen G.; MORRIS, John E.; MORROW, Alexander (Aleck); MORTENSEN, Darrel R.; MORTENSEN, Ella; MORTENSEN, John; MOYER, Edward; MOYER, Ida L.; MULLER, Helena; MULLER, John L.; MULLER, N.J.
N: NAAS LAVIN, Fern Louise; NAIG, LeRoy Donald; NAVARRO, Tavia Zepeda; NEFZGER, D. G.; NEGUS, Daniel H.; NEGUS, Leo M.; NELSON, Alma; NELSON, Bernice R.; NELSON, Emma E.; NELSON, Ida W.; NELSON, Irven W.; NELSON, Jacob; NELSON, Leona M.; NELSON, Mae; NELSON, Nels M.; NELSON, Nicholas; NELSON, Ole; NELSON, Ruth E.; NELSON JACOBSON, Mary; NELSON MITTS, Mary Josephine; NEVILLE, Vicki L.; NEWBROUGH, Mary A.; NEWCOMB, Benjamin F; NEWCOMB, Hazel M.; NEWCOMB, Roy A.; NEWELL, Hannah; NICHOLS, Harrison F.; NIELSEN, Anna G; NIELSEN, Janet Susan; NIELSEN, Lilly; NIELSEN, Peter; NIELSEN, R.; NOLL, Alice; NORDQUIST, A.; NORDQUIST, Aileen V; NORDQUIST, Leonard; NORMAN, Maxine K.; NORMAN, Thomas E.; NORTON, Harry L.; NORTON, Mary A.
O: O'BRIEN, Emily B.; O'BRIEN, James P.; O'BRIEN, Joseph; O'CLAIR, Claude T.; O'CLAIR, Joyce J.; O'CLAIR, Lois T.; O'CLAIR, Makayla Rae; O'HARA, Clara; O'HARA, Maynard H.; OELTJENBRUNS, William J.; OLIVER, Angeline; OLIVER, Harry M; OLIVER, James; OLIVER, Jennie M.; OLIVER, Lulu M.; OLIVER, Mary L.; OLMSTEAD ADAMS, Lena Verbena; OLSON, Adelia E.; OLSON, Andrew; OLSON, Antonette; OLSON, Edith; OLSON, Gertrude Olive; OLSON, Irwin L.; OLSON, Otto Ferdinand; OLSON, Rasmus; OLSON, Selma; ORRIS ASH, Karen K.; OSTRANDER, Andrew J.; OTHIEM, Anna M.; OTHIEM, L. H.; OWEN, Charles R.; OWEN, Charles, Jr.; OWEN, Daniel H.; OWEN, Emily C.; OWEN, George N.; OWEN, Laura A. S: SAKMAN, Emma C.; SALBERG, Brandon Lee; SALMON, Matthew Allen; SANDS, Jessie V.; SANDS, Maud; SANDS, Robert B.; SANTAGE, Lorien; SARGENT, Anna E.; SARGENT, Elmer P.; SARGENT, Ira H.; SAVAGE, William C.; SAXBY KRUMM, Ida; SCHARNBERG, Amelia; SCHARNBERG, Family Plot; SCHARNBERG, Lewis; SCHMID, Alice Catherine; SCHMID, Elmer Conrad; SCHMID, Family Monument; SCHMID, Jacob Frederick; SCHMID, Johanna Pauline; SCHMID, Oscar C.; SCHMID WINKELMAN, Irma Elizabeth; SCHOELERMAN, Infant Son; SCHONING, Anna M.; SCHONING, Ernest L.; SCHOTTHORN DEREMO, Grace M.; SCHUCK, Cornelia H.; SCHUCK, Earl E.; SCHUCK WEIK, Wilma "Peggy"; SCHWENNEKER WINKELMANN, Alvina Christine; SCRUBY, Ellis A.; SECOR, Angemine; SECOR, Delos; SECOR, Herbert T.; SECOR, Permelia; SEEMAN, Albert J.; SEEMAN, Ella; SEIBEL, Adolph C.; SELLER, Nina Pearl; SELLER, William Earl; SHEEAN, Timothy S.; SHELDON, Lewis L.; SHELMIDINE, Allie Mae; SHELMIDINE, David E.; SHELMIDINE, Donald Everett; SHELMIDINE, Lyle Stanton; SHELMIDINE, Mae; SHELMIDINE, Mildred; SHINE, Bennie B.; SHINE, Ernestine F.; SHINE, Harry; SHINE, Joe; SHINE, Sam; SHINE, Sarah; SHOVEN RENO, Celas (Salas); SHRIVER, Pearl May; SHUBERG, Herbert G.; SHUBERG, Kenneth; SMITH, Ashley; SMITH, Charles W.; SMITH, Flossie M.; SMITH, Kenneth M.; SMITH, Kent Douglas; SMITH, Mark M.; SMITH, Mark M.; SMITH, Maurice A.; SMITH, Platt W.; SMITH, Raymond M.; SMITH, Sylvanus; SMITH, Waldo P.; SMITH, Warner W.; SMITH, Wava A.; SMITH CAMPBELL, Agnes; SMITH FREE, Bessie; SMOCK, Abigail; SMOCK, Thompson; SMYTH, May; SNELL, Lily; SOHOLM, A.L.J., Rev. ; SOHOLM, Marie K. F.; SOHOLM LARSEN, Mathilda L.; SORENSEN, Arthur E.; SORENSEN, Infant; SORENSEN, Joel; SORENSEN, Magda R.; SPEED, Baby; SPRAGUE, Ama I.; SPRAGUE, Charles C.; SPRAGUE, Family Monument; SPRAGUE, Hazel Brenda; SPRAGUE, Ross D.; STAMLEY, Frank P; STARKEY TRACY, Angeline D; STARR, George; STARR, Mary; STARR BONNEVIER, Grace; STARR CARLSEN, Gertrude; STARR PAYNE, Cleo; STARR SNELL, Lily; STEBBINGS, John W.; STEELE, William; STEPHENSON, Blanche M.; STEPHENSON, Datus; STEPHENSON, Ella; STEPHENSON, Family Tombstone; STEPHENSON, G W; STEPHENSON, G. W.; STEPHENSON, M. C.; STEPHENSON, Melvin E; STEPHENSON, Sarah J.; STEWART, Irwin Ellis; STEWART, Lucia K.; STEWART, Roger D.; STOLTENBERG, Agnes; STOLTENBERG, William; STONE, Luvilla J.; STONE OLSON, Edith; STOUFFER, Elsie M.; STRICKLAND, Wille; STRIZICH, Eugene O.; STRIZICH, Geraldine; STRIZICH, William E.; STROM, Severine; STRUCK, Betty Aline; STRUCK, Elvina; SUTCLIFFE, John; SUTCLIFFE, Marion; SUTCLIFFE, Wesley; SWIFT, Claude; SWIFT, Samuel; SYNDERGAARD, Robert L.
T: TATRO, Alfred Eugene; TATRO, Alfred Eugene; TATRO, Eva; TATRO, Eva; TATRO, Jane; TATRO, Jane Celestia; TATRO, Merrels Leroy; TATRO, Merrels LeRoy; TATRO DASKAM, Edith; TAYLOR, Christiana; TAYLOR, Daniel T.; TAYLOR, Keith P.; TEESLINK, Herman; TEESLINK, Mary; TERCEY, George W.; TERPENING, Cyrus Roy; TERPENING, Sarah E.; TEWS, Lillian N.; THOMAS, Clarence E.; THOMAS, Elinore F.; THOMAS, Harry E.; THOMAS, Lennie M.; THOMAS, Norman Dean; THOMAS, Phyllis Kaye; THOMAS MOORE, Gloria; THUIRER, Clarence L.; THUIRER, Elnora G.; THUIRER, Henry; THUIRER, Margaret; THUIRER, Ralph C.; TINKHAM, Clarence G.; TINKHAM, Ellen J.; TINKHAM LEIGHTER, Evelyn; TITUS, Leah S.; TITUS, William Clarence; TORBERT, Florence K; TORBERT, Maria; TORBERT, Memorial Stone; TORBERT, Orville Durant; TORBERT, Samuel A; TORBERT, William F; TOTMAN, May B.; TOTMAN, Ray E.; TOWNS YOCUM, Ada; TOWNSEND, Peter; TRACY, Albert C; TRACY, Angeline D; TRAUGHBER, Fern E.; TRAUGHBER, Harold; TREAT PARKER, Cordelia; TUBBS, William; TUTTLE, Bobbie F.; TUTTLE, Carrie A.; TUTTLE, Frank M.